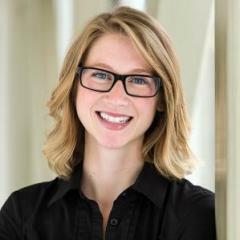 Abstract: In the long process of antibody research, three generations of different levels of antibody preparation techniques have been developed. A polyclonal antibody prepared by antigen-immunizing higher vertebrates is called a first-generation antibody; a monoclonal antibody produced by hybridoma technology only for a specific antigenic determinant is called a second-generation antibody; and recombinant DNA is applied; The technique or the method of gene mutation modifies the coding sequence of an antibody gene to produce an antibody protein molecule originally existing in nature called a genetically engineered antibody, that is, a third generation antibody. This genetic engineering is called antibody engineering. Human hybridoma cells have been tried in the early days to produce human monoclonal antibodies, but this technique has rarely been used due to the instability of human hybridoma cells, the low affinity of human monoclonal antibodies, and ethical controversy. In the mid-1980s, new technologies were introduced to combine the genetic structure and function of immunoglobulins with DNA recombination technology, and then the recombinant immunoglobulin genes were introduced into cells for expression. In the third generation of antibodies, mainly including humanized antibodies, small molecule antibodies, antibody fusion proteins and some specific types of antibodies, to some extent overcome the shortcomings of the first two generations of antibody technology. In addition, the construction of a phage antibody library, a ribosome display library, and the like allows specific antibodies to be obtained without antigen immunization. Recombinant antibody technology makes it possible to prepare humanized antibodies and human antibodies, which is not possible with other conventional polyclonal or monoclonal antibody preparation methods. One method of reducing the immunogenicity of a murine monoclonal antibody is to link the variable region of the murine immunoglobulin to the constant region of the corresponding human immunoglobulin, thus producing a murine-human chimeric antibody, human region in 60%~70%. Using the recombinant DNA technology, the variable region gene of the murine monoclonal antibody is ligated to the human constant region gene, and the constructed chimeric gene is inserted into an appropriate expression plasmid, and then transfected into the corresponding cells for expression. 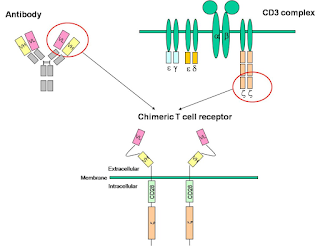 The chimeric antibody produced has the function of binding antigen, and at the same time reduces the heterogeneity of the murine monoclonal antibody, such chimeric antibody is not much different in affinity from the corresponding murine monoclonal antibody, and humans have it The immune response will be reduced. However, since it still retains the heterogeneity of the murine immunoglobulin variable region, clinical experiments have shown that the chimeric antibody also produces an immunological response to the variable region of human anti-chimeric antibody (HACA) when applied. 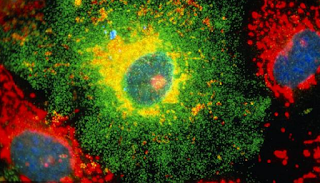 In order to break through the limitations imposed by the oversize of monoclonal antibodies, techniques for the development of small molecule antibodies have been developed. The goal of these techniques is to obtain antigen-binding fragments (Fabs) of antibodies and variable regions (Fv) of antibodies. Such a fragment can be obtained by cleavage of an antibody, or by amplifying a gene associated with an immunoglobulin and cloning and expressing it in bacteria. Small molecule antibodies have small molecular weight, strong penetrability, low immunogenicity, and short half-life. At present, there are several studies and more practical prospects. The technology links a heavy chain variable region and a light chain variable region with a ligation peptide, and is expressed as a single-stranded polypeptide by a prokaryotic expression system and folded into a novel antibody consisting of a heavy chain and a light chain variable region. The multiple antigen binding sites of the antibody have different specificities and are capable of binding different antigen molecules, which changes the deficiency that the traditional antibody can only bind to a single antigen molecule. At present, researchers are paying more attention to the application of bispecific monoclonal antibodies. In the antibody, the Fab segment is mainly used to combine the role of the antigen. In the early 1990s, based on the PCR technology, the expression of antibody Fab fragments in E. coli and the rapid development of phage display technology, antibody library technology based on molecular biological methods appeared. Among them, the phage antibody library technology is superior. The basic procedure of phage antibody technology is to amplify a full set of antibody variable region genes or antibody fragments (Fab, Fv or seFv) genes by PCR and transfer them to the vector after phage capsid protein gene, which can be filamentous. The coat protein of the phage forms a fusion protein, and the antibody Fab fragment or single-chain antibody is expressed on the surface of the phage, and then the specific antibody and the gene encoding the same are obtained from a plurality of antibodies by affinity screening of the antigen. 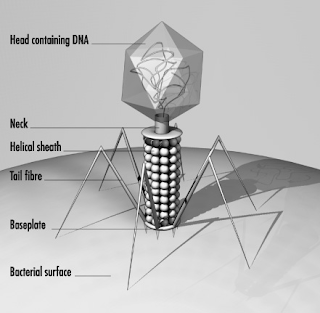 A phage population cloned and assembled using a full complement of antibody variable region genes of B lymphocytes is referred to as a phage antibody library. The technology is simple to operate, does not require cell hybridization or complex PCR technology, has a short cycle and low cost; can simultaneously screen several antibodies using different antigens, and can be selected in millions to hundreds of millions of molecules; suitable for antibodies, hormones The preparation of proteins such as enzymes, drugs, and random polypeptides is more interesting because the technology can obtain antibodies that cannot be produced by immune animals due to the influence of immune tolerance mechanisms. Phage antibody technology has greatly promoted the development of genetically engineered antibodies, and their production has brought new hopes for the prevention, diagnosis and treatment of human and animal diseases.